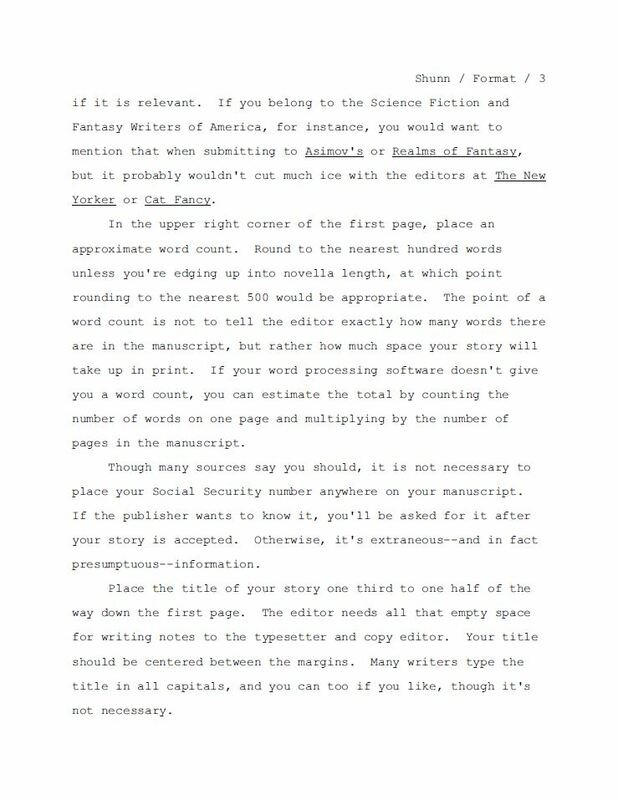 Ever wonder how to format a manuscript? Ever wonder why even format it? It’s called a baseline, a standard if you will. My initial reason for looking into the matter involved my iPad. I’ve written half a book on just my iPad Mini using Pages for iOS. No external keyboard, just the soft keyboard. 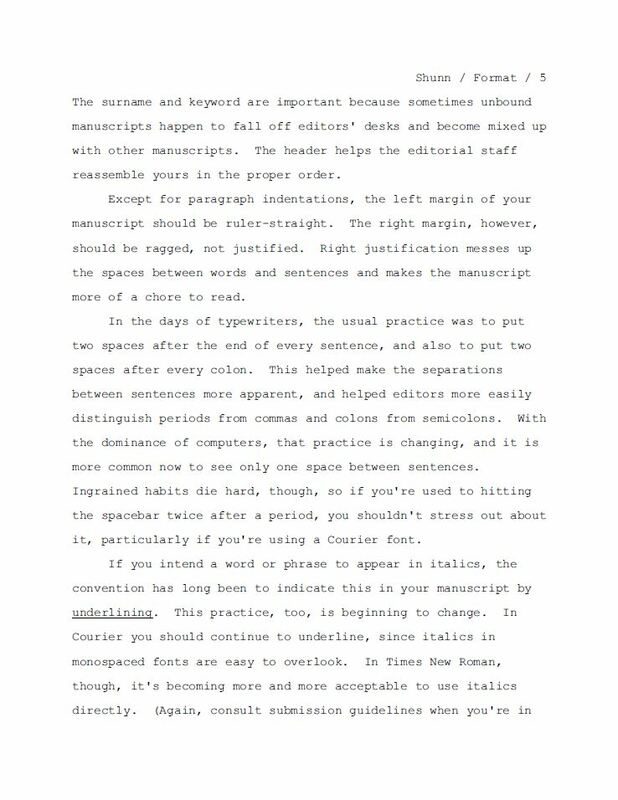 But back to formatting. Everywhere I searched I found the same answer, one inch in from the margin. My one glaring question though was ‘one inch in from where?’. I kept looking. 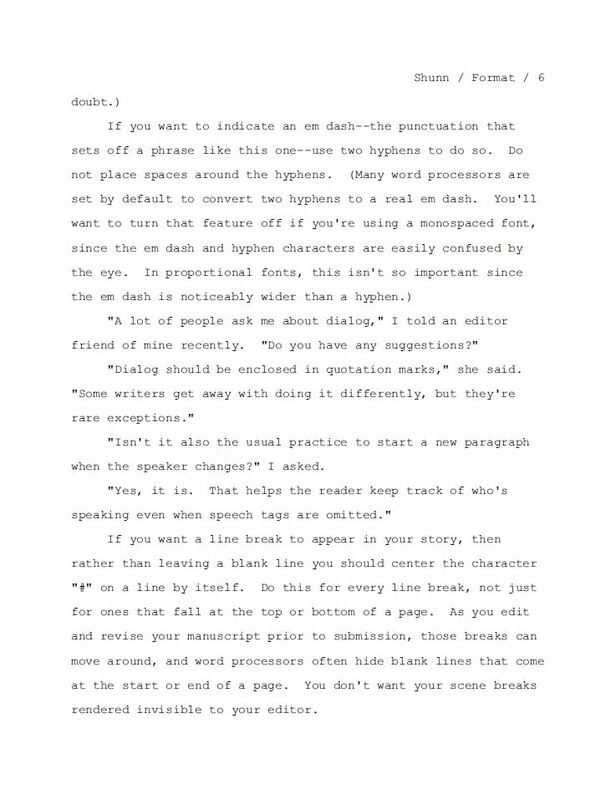 Did that grand committee of ‘they’ want the margin in from a 6×9 piece of paper such as the typical hardcover novel? 8.5×11? 8.5×14? It seemed like the simplest question …. but no answer anywhere. 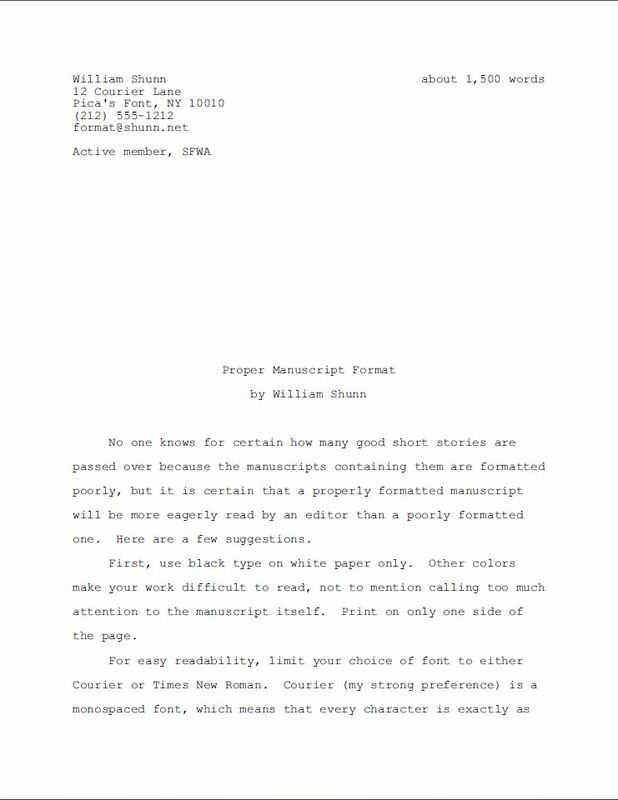 Well here is the answer: One inch margins in reference to an 8.5×11 page. I suppose everyone just assumed that everyone else knew! But why format at all? My layout is majestic, a treasure trove of literary beauty, a feast for the eyes and even the soulllllllll!! Well your soul will end up in the circular file or the electronic Recycle Bin if you neglect the format standard. 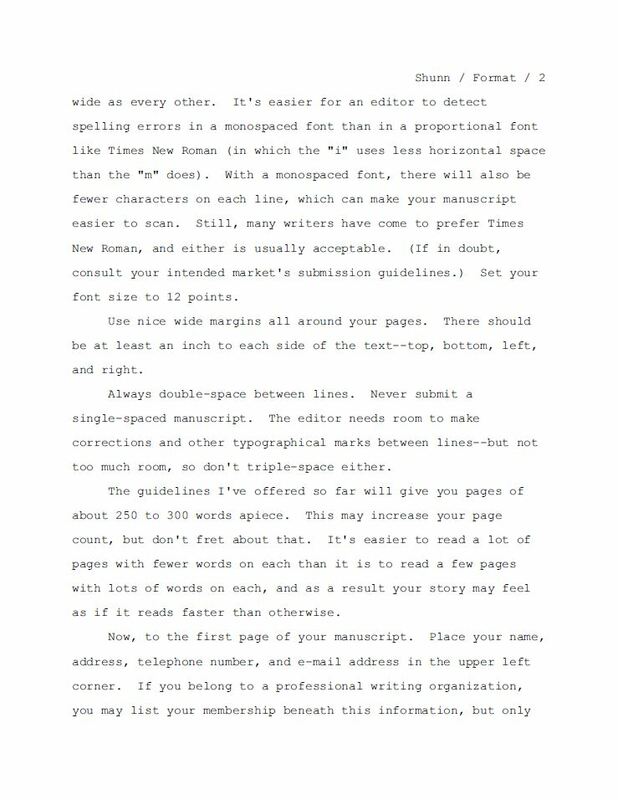 The standard makes it easy for the agent, the editor, the publisher …. everyone to read. And to make notes on it. 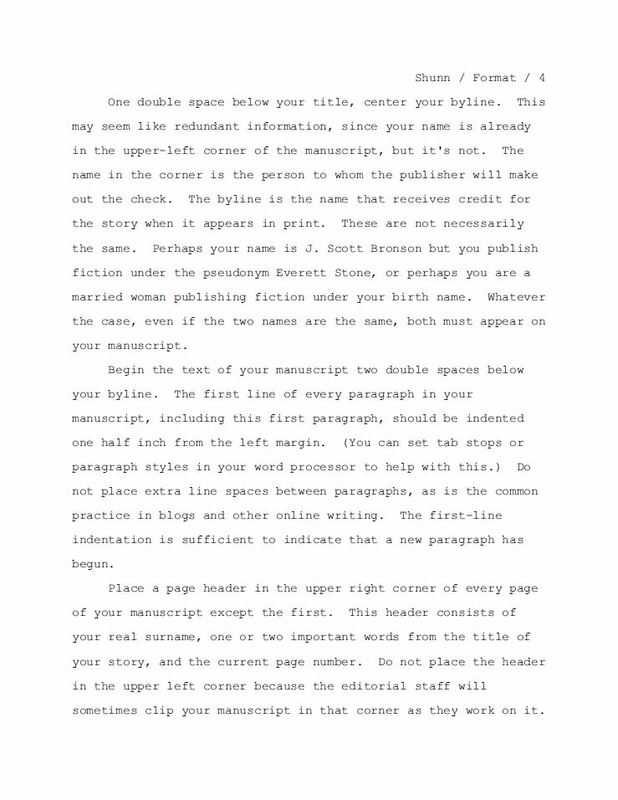 If you make it difficult … well, the next manuscript is right underneath it. 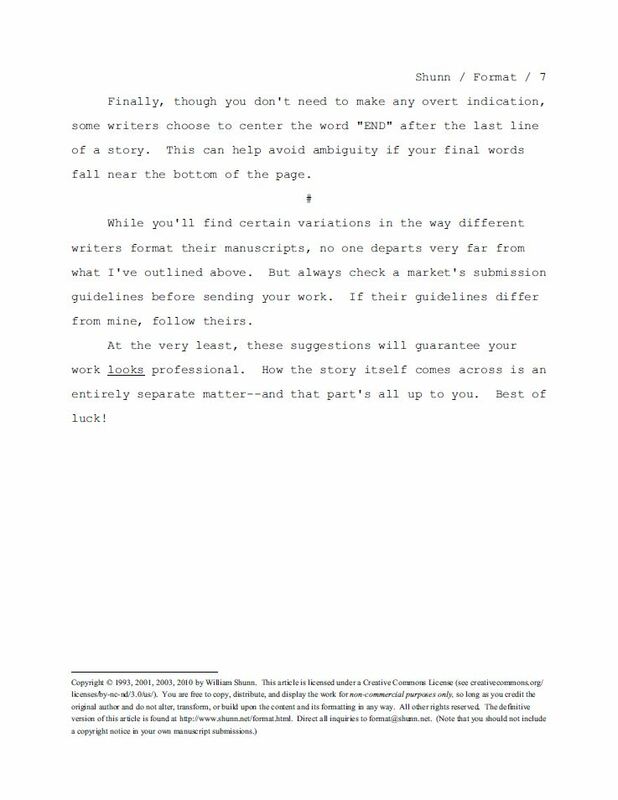 William Shunn’s straightforward 7 page treatise is the best single source I’ve found concerning the whys and details of how to format your manuscript.